Home Blog What Role Does Religion Play in Italian Life? How Vital Is Roman Catholicism to Italian Culture? Before you begin working your way to foreign language fluency, it helps to understand the culture behind the language you’re learning. After all, language exists to help a group of people express their ideas and beliefs. Italy is an old country with a rich history and culture. As you begin your Italian language program, gaining a strong grasp on this history, the values, and the etiquette will help you rapidly achieve success. In particular, religion plays a central role in defining Italian culture. The Roman Catholic Church has played a massive role in shaping the culture of Italy. Although the country is not officially Roman Catholic, the Roman Catholic Church started during the Roman Empire and Italians have been predominantly Roman Catholic since the inception of the Church. The Church itself has its seat in the Vatican City, which is not a part of the country, but is located within Italy. The Church has helped to shape the ideals and values of Italian culture. Although not all Italians are religious, many Italian families still have strong ties with the Church and it plays an important role in their culture. For some families, weekly attendance at mass is a requirement. In the Catholic Church, authority is given from God through apostolic succession, in which Jesus named Paul his successor and he became the first Bishop of Rome. When the Pope makes a declaration from his throne, known as “ex cathedra,” it is considered to be the word of God. The Church’s role in Italian society is seen through the setup of their organizations from family to businesses. The Church is an autocratic and hierarchical institution, with power flowing down from God to the Pope to the cardinals, archbishops, bishops, and parish priests. This same structure exists in many areas of Italian life. In a family, the father is usually the head of the household and in businesses there is usually one person in charge. 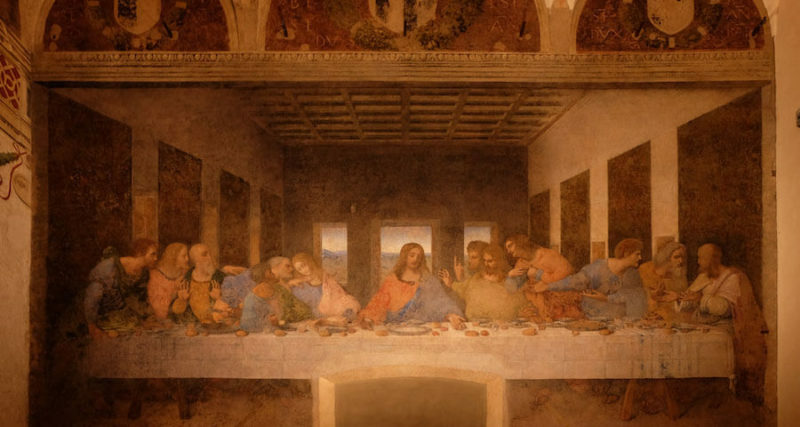 Churches in Italy are often the homes of some of the most amazing artwork, displaying beautiful architecture and sculptures, and because many of the most important festivals are held within this type of setting, it is imperative to understand the etiquette to exhibit. For women, it is seen as a sign of disrespect to wear short clothing, particularly in reference to the length of pants or tops. While there have been some changes regarding headdress, as it is no longer required for women, in many cases older women still adhere to more traditional garb. For men, wearing any type of hat is also prohibited or frowned upon. In the Catholic Church, God is always seen as being present in the host, and the physical location of this is usually on the high altar of the tabernacle or in one of the secondary chapels. Many worshipers will often kneel at the entrance of the nave, and as you one enters, he’ll see a bowl consisting of holy water that practicing Catholics will dip their fingers into. In popular tourist areas, these places of worship will often be roped off for those who wish to pray, so it is important to maintain a demeanor that reflects respect, as well as a low voice when speaking. Each of these rules should be strictly adhered to, even by tourists, to exhibit a constant sense of esteem, reverence, politeness, and admiration; otherwise, an air of disrespect may be given off, even inadvertently. Despite close affiliations with the Roman Catholic Church, Italians are also a tolerant people. They are very forgiving when it comes to moral lapses. They recognize the presence of sin and know that to err is part of human nature. While the Italians often recognize examples of misbehavior, they can also overlook most types of misbehavior. Even in cases of theft or infidelity, the Italians can overlook people’s sins as part of human nature. For the Italians, keeping up at appearance of good behavior is the most important aspect. If one can keep up appearances, Italians can be surprisingly forgiving when a mistake is made. For most Italians, even if the error seems severe, an apology and a promise to fix the mistake are enough to earn forgiveness, especially if appearances are maintained in all other areas. Every culture has behaviors that they consider the most important. The British favor humor, the French have their ideas, the Germans revere respect, and the Italians favor appearances. Italians believe that the way you dress and speak can say a lot about your character. If you make an effort to dress nicely and fashionably and take care in what you say, then to an Italian, you are likely a good person who is worthy of respect. If someone cares about how they appear to the rest of the world, they are likely going to have a good work ethic. The common phrase states, “When in Rome, do as the Romans do,” and the Italians expect others to dress and speak properly, just as they do.